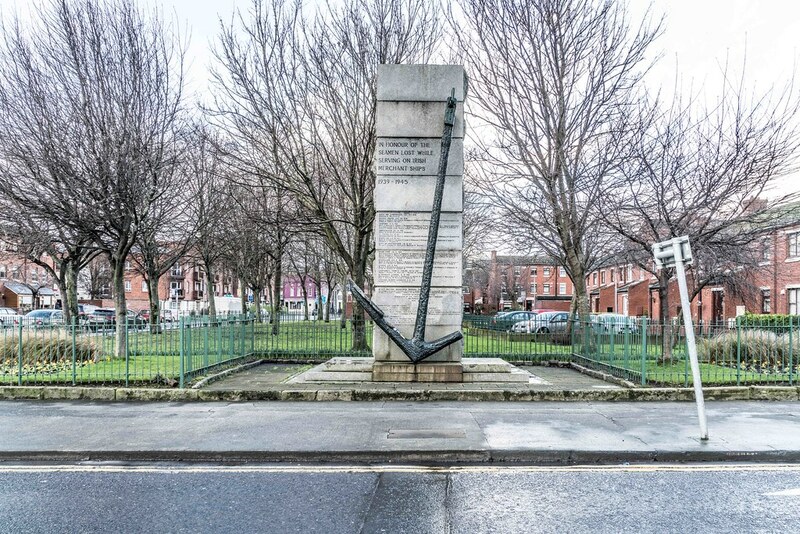 Located on City Quay Dublin is the National Seamen's Memorial dedicated to those Irish Seafarers lost whilst serving on Irish merchant ships during WWII. The monument was unveiled by President Patrick Hillery on May 07, 1990. 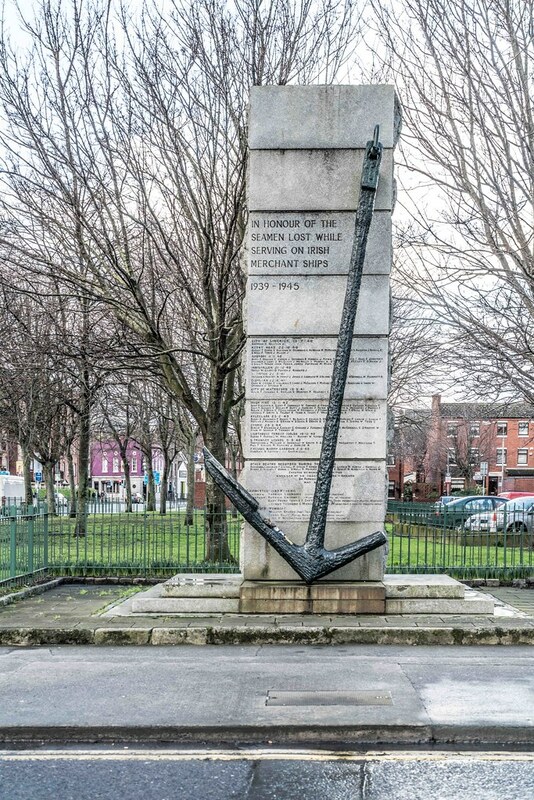 IRISH MERCHANT SHIPS LOST IN WORLD WAR TWO. CITY OF LIMERICK (Captain, R. Ferguson) sunk by air attack 700 miles west of Ushant. MEATH (Captain T. MacFarlane) mined and sunk off Holyhead . KERRY HEAD (Captain C. Drummond) bombed and sunk with all hands off Cape Clear. ARDMORE (Captain T. Ford) missing on passage Cork to Fishguard. INNISFALLEN (Captain G. Rrth) mined and sunk in River Mersey. ST. FINTAN (Captain N. Hendry) bombed and sunk by German aircraft of Welsh Coast. CITY OF WATERFORD (Captain T. Alpin) sunk whilst in convoy 0G74 in North Atlantic. IRISH PINE (Captain M. O'Neill) torpedoed and sunk in North Atlantic by U-608. CYMRIC (Captain C. CASSEDY) missing on passage Ardrossan to Lisbon. M/Trawler "NAOMH GARBHAN" mined and sunk off Waterford coast.